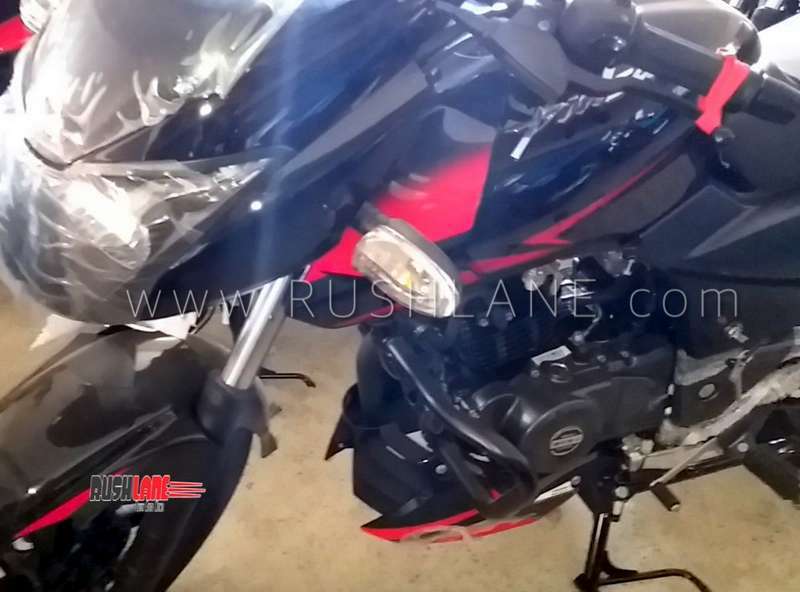 After the Bajaj Pulsar 220 and the Pulsar 180, it is the Pulsar 150 Twin Disc that has been spotted with ABS at a dealership warehouse. The Pulsar 150 ABS Twin Disc, similar to its siblings, features a single-channel ABS to keep the costs low and prices competitive. The standard model, without ABS, retails for INR 80,794 (ex-showroom Delhi). Expect the ABS-equipped model to carry a price tag of circa INR 90,000. The Bajaj Pulsar 150 ABS Twin Disc joins the Pulsar 220 ABS and Pulsar 180 ABS at the dealership. The motorcycles are yet to be put on display. 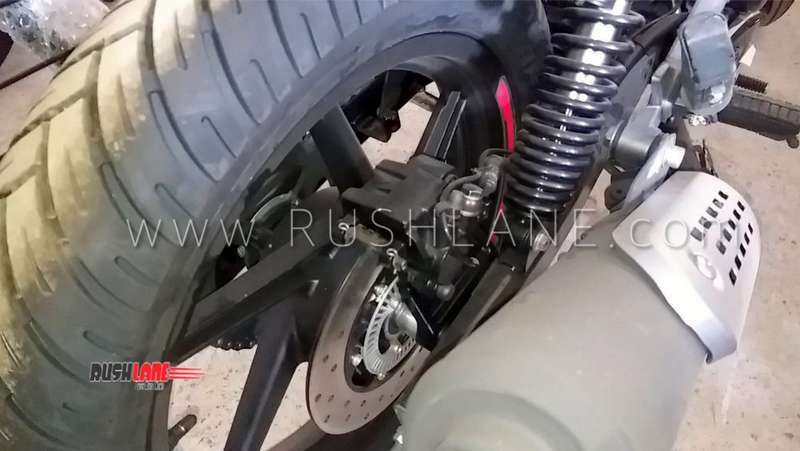 Apart from the single-channel ABS, the 2019 Bajaj Pulsar 150 Twin Disc will also feature a rear lift-off protection as standard to avoid the back wheel from lifting up during heavy braking. The braking setup will be identical to the non-ABS model, and the variant will continue employing a 260 mm disc at the front and a 230 mm unit at the rear. The motorcycle, similar to others in the 2019 model range, will receive an engine cowl for a sporty look to the overall package. The motorcycle will retain the colour options from the existing range. The ABS-equipped model will continue with the current technical specifications as the standard variant. Thus, propelling tasks would be performed by a 149cc, 4 Stroke, 2-valve, twin spark, air-cooled, DTS-i engine that delivers 14 PS of maximum power at 8,000 rpm and 13.4 Nm of peak torque at 6,000 rpm. The engine comes paired with a five-speed gearbox. The Bajaj Pulsar 150 ABS Twin Disc will continue featuring conventional telescopic fork at the front and gas charged twin shock absorbers at the rear. The 17-inch alloy wheels would come wrapped in 90/90-17 front and 120/80-17 rear tubeless tyres. Bajaj Auto is yet to put out the prices of its ABS-equipped model range, but we expect to hear an announcement in the coming weeks. The Bajaj Pulsar 150 ABS Twin Disc will receive rear lift-off protection system as standard to avoid accidental stoppies under heavy braking. Expect a price increase in the range of INR 8,000-12,000. Meanwhile, there are no updates or spy images of the ABS-equipped variant of the Bajaj Pulsar 150 Classic – the rear drum variant, and currently, the most affordable Pulsar branded motorcycle in the country. The bike will come with a single-channel ABS. Do note that Bajaj launched the Neon Collection of the Pulsar 150 Classic in November 2018 at INR 64,998 (ex-showroom Delhi) without the safety net of ABS.